You realize big savings with your HEATMOR™ furnace, designed to work as easily with existing heating systems as with new construction. The more heating needs you have, the greater the savings, because a HEATMOR™ system can add warmth to your life inside and out. 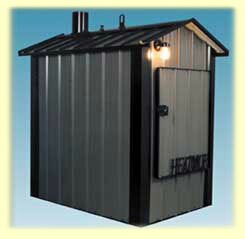 For a sample installation of each furnace application, please click on the respective image.